Mr. Krebs founded The Krebs Law Firm LLC in 2002 after prior experience in large law firms as an insurance defense attorney and a position of General Counsel for a successful publicly traded company. As a native to Springfield, Missouri, Jason Krebs has seen this area dramatically grow and change and is committed to helping its citizens, even accident victims and those with with other civil litigation needs, have the highest quality of life possible to best enjoy the beautiful Ozarks. Jason Krebs was personally asked to take over Social Security Disability cases already in progress from an attorney who was appointed as a Social Security Disability Judge and moving out of state. The new judge and these new clients trusted him to handle their cases professionally and expertly. 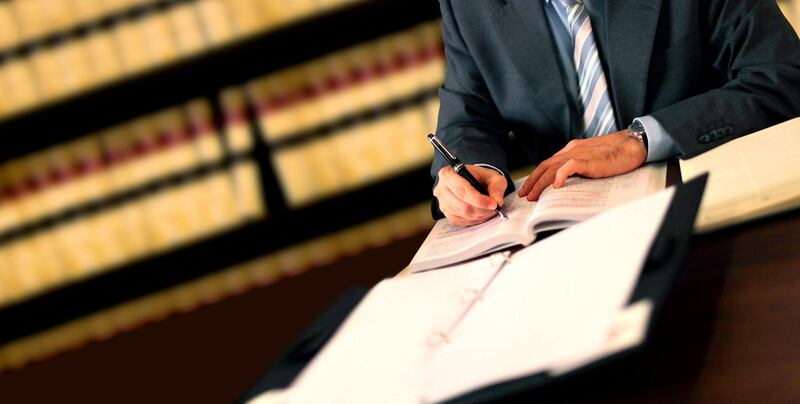 Unlike other lawyers in the area, the Krebs Law Firm can offer its clients a unique perspective on their case due to Mr. Krebs’ past experience working for the insurance companies that he now fights against. While formerly defending insurance companies, Jason Krebs learned how these companies approached a personal injury, wrongful death or product liability case; what they looked for in awarding settlements to those injured on the job or in an accident; and when and how they decided to actually go to court. All of this knowledge he can now use against those same insurance companies as he fights to get fair compensation for his clients who have been injured. (In personal injury cases, it is the insurance companies, not individuals who are generally making payments to those injured in accidents.) You won’t find this unique knowledge at other law firms. While the legal profession can sometimes seem to just be about the laws written in big books somewhere, Jason Krebs knows that how the law impacts people is what being a lawyer is really about. He knows that the “legalese”, the lofty and seemingly purposely confusing wording found in many documents, can be confusing and it often takes a lengthy discussion between people to sort through all the complexities of even the smallest case–and that is okay. In his small firm, Mr. Krebs will personally be involved in each case and is selective in the injury cases he chooses to represent. He’ll answer all your questions, return your phone calls, and keep you updated on your case. Read more about why you should hire Jason Krebs as your personal injury lawyer. While General Counsel for a large publicly traded company, Mr. Krebs handled broad business issues from contracts to worker compensation with a focus on business litigation and business collections. At the Krebs Law Firm he has successfully represented large and small business interests in the Springfield, Missouri area and surrounding counties in a wide variety of legal matters. With Jason Krebs’ broad experience and expertise, The Krebs Law Firm, LLC provides legal representation to individuals and businesses throughout Southwest Missouri and Northern Arkansas in matters involving litigation, personal injury, workers’ compensation, automobile accident litigation, nursing home liability, complex tractor-trailer truck accidents, premises liability claims including slip and falls, commercial disputes, non-compete agreements and collection matters. If you have been injured in Springfield or Branson, MO or surrounding Missouri areas and want an attorney that can best represent you and your interests against insurance companies who are only looking out for their bottom line, please contact the Krebs Law Firm today. Hire Jason Krebs to be your lawyer. Call him today at (417) 883-5886.